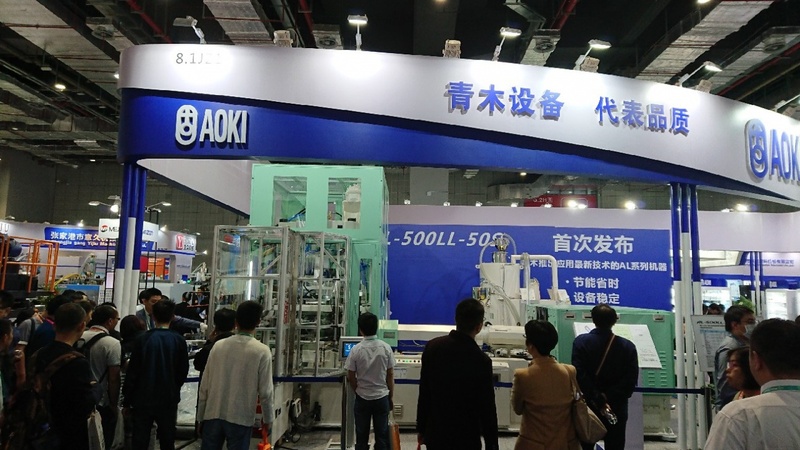 We had exhibited to Chinaplas 2018 held from April 24 to 27 | News | Aoki Technical Laboratory, Inc.
We participated in CHINAPLAS 2018, the largest international plastic trade fair in Asia, held in Shanghai, China in April 24 - 27, 2018. Generally we demonstrated water bottle containers that are on the market with the newly developed machine AL series (AL-500 LL-50 S) in the high - speed cycle with the same quality in the "high-speed mold release method" shortened cycle by nearly 60%. For everyone who visited our booth, We think that you could see the demonstration machine directly and feel the latest technology.